Records, photos and other archival material dating back to the National Association of Hispanic Journalists’ inception in 1984 have gone missing, the board of directors announced Saturday. 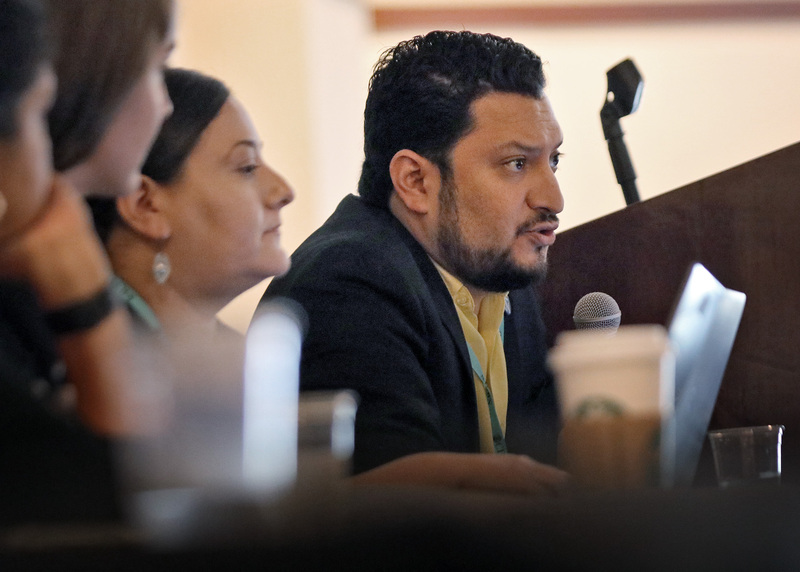 All of NAHJ’s physical archives are irretrievable because the organization’s storage company — Iron Mountain Inc. — can’t find it, Executive Director Alberto Mendoza said during a meeting of members at the National Association of Hispanics Journalist conference in Miami. Attempts to reach Iron Mountain late Saturday were unsuccessful. “We are in the process of working with that company to locate that archive,” outgoing NAHJ President Brandon Benavides said at the meeting. Mendoza said that NAHJ has been digitizing its documents since 2010. Everything that predates that — plus all memorabilia — is missing. The board discovered the records were misplaced about three weeks ago while attempting to retrieve archival material. The organization transferred the archives to Recall Holdings about eight years ago when the organization’s main office — where they had been stored before — was shut down due to financial hardships NAHJ faced after the recession. In May of 2016, Recall Holdings was bought by Iron Mountain. The association hadn’t asked to retrieve archives since before the company was sold in 2016. Members who attended Saturday’s meeting — where they could voice concerns about the organization — were frustrated about the missing records. Claudia Cruz, a former NAHJ Bay Area chapter president, said it’s alarming that the board didn’t know about the misplacement for at least two years. Former NAHJ President Gilbert Bailon said the biannual rotation of board members and presidents might have played a part. His wife, Lourdes Bailon, worries the archives will be permanently lost. NAHJ will seek legal help to retrieve the records if necessary, Mendoza said. ← From Houston to Miami: By plane? No. By car.